We continually support Stamp & Chase, a healthcare consulting firm, with training materials to help hospitals improve patient communications and patient satisfaction. 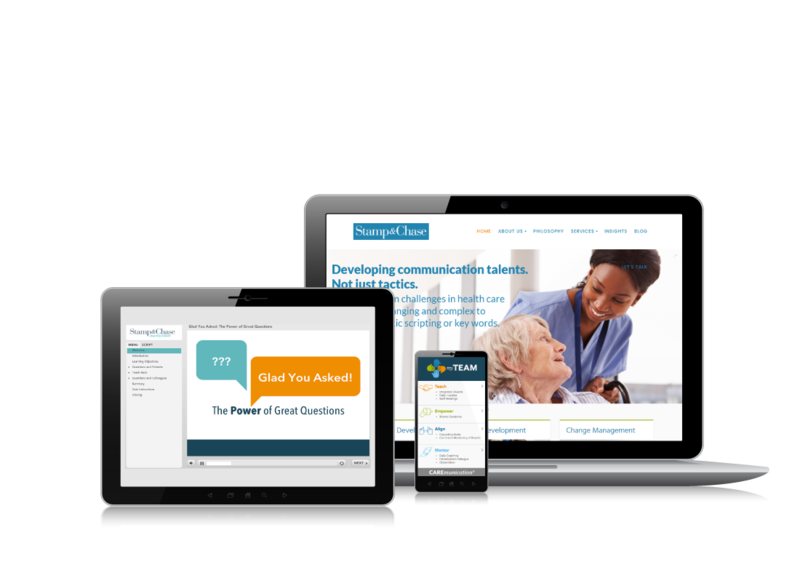 We develop multi-media microlearning modules for frontline nursing staff and management. These tools are integrated into mobile apps and social media resources to create a seamless performance support experience and are unified by consistent branding and visuals.